The FBI has a long history of abusing its national security surveillance powers. The potential for abuse is once again great, particularly given that the lines between criminal investigations and foreign intelligence operations have been blurred or erased since 9/11. As a result, intrusive surveillance tools originally developed to target Soviet spies are increasingly being used against Americans. COINTELPRO. During the Cold War, the FBI ran a domestic intelligence – counterintelligence program called COINTELPRO that quickly evolved from a legitimate effort to protect the national security from hostile foreign threats into an effort to suppress domestic political dissent through an array of illegal activities. COINTELPRO targeted numerous non-violent protest groups and political dissidents with illegal wiretaps, warrantless physical searches and an array of other dirty tricks. The FBI used the information it gleaned from these improper investigations not for law enforcement purposes, but to “break up marriages, disrupt meetings, ostracize persons from their professions and provoke target groups into rivalries that might result in deaths.” The Church Committee, a Senate Select Committee that investigated COINTELPRO in the 1970s, found that a combination of factors led law enforcers to become law breakers. One factor was their perception that traditional law enforcement methods were ineffective in addressing the security threats they faced. Another was their easy access to damaging personal information as a result of “the unrestrained collection of domestic intelligence.” Unfortunately, these factors are all present again today as the FBI seeks to transform itself into an internal intelligence agency dedicated to preventing future acts of terrorism. Reforms Undone. The Church Committee’s exposure of the FBI’s COINTELPRO abuses led to a series of reforms, including laws designed to regulate government surveillance and internal guidelines (Attorney General’s Guidelines) which limited the FBI’s investigative authority and spelled out the rules that govern law enforcement operations. These reasonable limits have been either abandoned or ignored since 9/11, however, through legislation like the USA Patriot Act, through amendments to the AG Guidelines, and through an expansion of powerful Joint Terrorism Task Forces (JTTF) that operate with virtually no public accountability. Patriot Act. 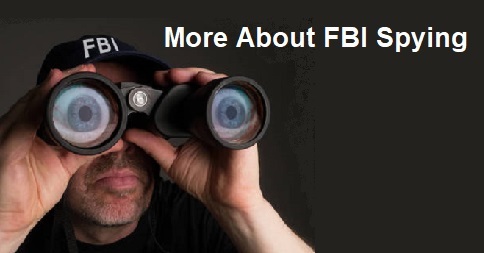 With the enactment of the USA Patriot Act Congress expanded the FBI’s authority to make secret demands for personal information and records about not just suspected terrorists or spies but about anyone the FBI deemed merely “relevant” to an FBI investigation. Not surprisingly, a series of five audits by the Department of Justice Inspector General confirmed widespread FBI mismanagement, misuse and abuse of this unchecked authority, which is now used, more often than not, to target Americans. For more on the Patriot Act, see the ACLU’s extensive page on that issue. Attorney General Guidelines. The AG Guidelines underwent four separate changes under the Bush administration, all of which gave the FBI increased surveillance authorities with reduced oversight. Attorney General John Ashcroft first amended the guidelines in 2002 to expand the investigative techniques the FBI could use during preliminary inquiries (which require less evidence of wrongdoing to initiate than a full investigation), and to increase the time limits to 180 days with the possibility of two or more 90-day extensions. The Ashcroft guidelines also allowed FBI agents to “visit any place and attend any event that is open to the public, on the same terms and conditions as members of the public generally.” The FBI later claimed this authority did not require the FBI agents attending public meetings to identify themselves as government officials. In 2005 the Department of Justice Inspector General (IG) audited the FBI’s compliance with AG Guidelines and found significant deficiencies: 53 % of the audited preliminary inquiries that extended beyond the initial 180-day authorization period did not contain necessary documentation authorizing the extension, and 77% of those that extended past the first 90-day extension period lacked the required authorizations. The IG was unable to determine whether or how frequently agents attended public events, however, because the FBI failed to keep records of such activity. The final and most dramatic changes to the AG Guidelines were made in December 2008, in the Bush Administration’s final month in office. 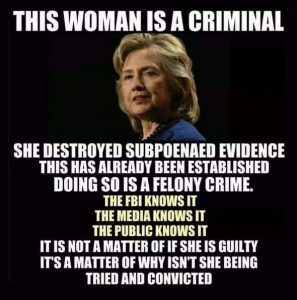 Then-Attorney General Michael Mukasey instituted new guidelines that authorize the FBI to conduct investigations called “assessments” without requiring any factual predicate suggesting the target of the investigation is involved in illegal activity or threats to national security. The Mukasey guidelines allow the FBI to utilize a number of intrusive investigative techniques during these assessments, including physical surveillance, retrieving data from commercial databases, recruiting and tasking informants to attend meetings under false pretenses, and engaging in “pretext” interviews in which FBI agents misrepresent their identities in order to elicit nformation. “Assessments” can even be conducted against an individual simply to determine if he or she would be a suitable FBI informant. Nothing in the new AG Guidelines protects entirely innocent Americans from being thoroughly investigated by the FBI for no good reason. The new Guidelines explicitly authorize the surveillance and infiltration of peaceful advocacy groups in advance of demonstrations, and they do not clearly prohibit using race, religion, or national origin as factors in initiating assessments. Use of Race and Ethnicity. An internal FBI guide to implementing the new AG Guidelines, called the Domestic Investigations and Operations Guide (DIOG), contains startling revelations about how the FBI is using race and ethnicity in conducting assessments and investigations. First, the DIOG says that investigative and intelligence collection activities must not be based “solely on race.” But the Department of Justice’s 2003 Guidance on the Use of Race in Federal Law Enforcement, which is binding on the FBI, says race can’t be used “to any degree” absent a specific subject description. There is a huge difference between using race as a factor and using race as the sole factor. Moreover, the DIOG then goes on to describe the authorized uses of race and ethnicity for FBI agents. Collecting “specific and relevant” racial and ethnic behavior. Though the DIOG prohibits “the collection of cultural and behavioral information about an ethnic community that bears no relationship to a valid investigative or analytical need,” it allows FBI agents to consider “focused behavioral characteristics reasonably believed to be associated with a particular criminal or terrorist element of an ethnic community,” as well as “behavioral and cultural information about ethnic or racial communities” that may be exploited by criminals or terrorists “who hide within those communities.” (DIOG page 33-34). It is hard to imagine how any U.S. law enforcement agency would consider collecting and mapping racial and ethnic community demographics an appropriate use of its resources (or, for that matter, consistent with its obligation to not only follow but enforce U.S. civil rights laws). In fact, in 2007 the Los Angeles Police Department abandoned a similar plan to map LA’s Muslim community in the face of public outrage. The FBI hotly contested a 2007 report from Congressional Quarterly’s Jeff Stein that the FBI had tracked San Francisco falafel sales to try and find Iranian terrorists, but the DIOG certainly confirms that the FBI considers ethnic behavior and ethnic-oriented businesses fair targets for surveillance (and Stein stood by his story). Data Mining. The FBI is sweeping up incredible amounts of information about innocent Americans through unchecked data collection and data mining programs. According to documents obtained by Wired magazine in 2009, an arm of the FBI called the National Security Branch Analysis Center (NSAC) has collected 1.5 billion records from public and private sources in a massive data mining operation. The records collected by the FBI include financial records from corporate databases, such as hotel and rental car company transactions; millions of “suspicious activity reports” from financial institutions; millions of records from commercial data aggregators; a multitude of law enforcement and non-law enforcement government databases; and public information gleaned from telephone books and news articles. The NSAC records include data from the FBI’s Investigative Data Warehouse, which was identified in a Department of Justice Inspector General reports as the depository for information collected by the FBI through National Security Letters (NSLs) and illegal exigent letters. The FBI has also established a database called eGuardian to collect and share suspicious activity reports with the federal intelligence agencies, the Department of Homeland Security, fusion centers, the military and state and local law enforcement. Attorney General Guidelines, Cointelpro, Counterterrorism, Data Mining, Department of Homeland Security, FBI, Federal Intelligence Agencies, Guidelines, Illegal Wiretaps, National Security Branch Analysis, Patriot Act, Robert Mueller, Spying. Bookmark.